Social networking seems to be the best way to find, get in touch, and communicate with your buddies, no doubt about that. 750 million active users on Facebook, and recently a huge investment from Google to win the network battle, says something about that. Millions of discussion forums of all kind. People are truly connected to each other of thousands of reasons. And communities make perfectly sense for millions of people in millions of contexts. Not least professional. PR in particular. 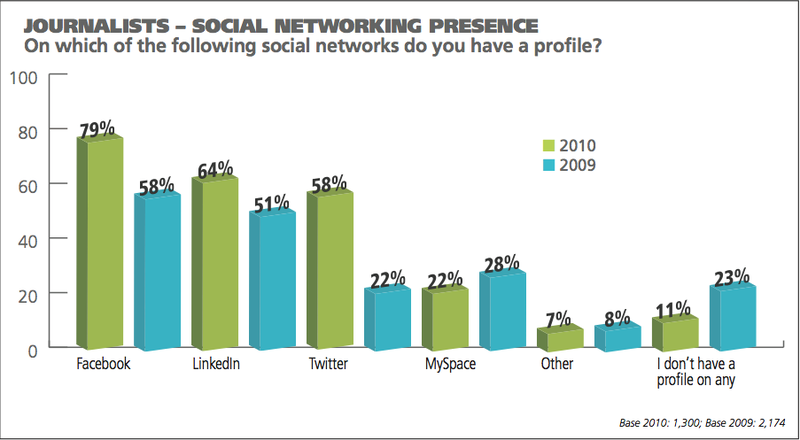 Communicators flock to networks, craving for likes and followers. Journalists as well. To meet their audience. But what’s happening in the business of media relations in this amazing era of communication? Not much! 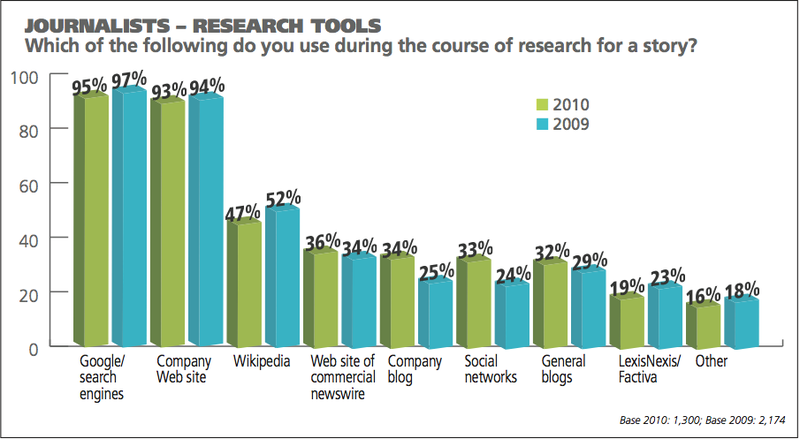 An excel sheet seems to be the main tool for communicators, and journalists refer to their overloaded inboxes. I had a great meeting with a PR communicator a few weeks ago. We were discussing the best way for her to find and organize her contacts. And not least get in touch and exchange experiences with them. My prejudices became incorporated. She was working with an excel sheet. And as far as I’ve understood it is more of a rule than an exception. 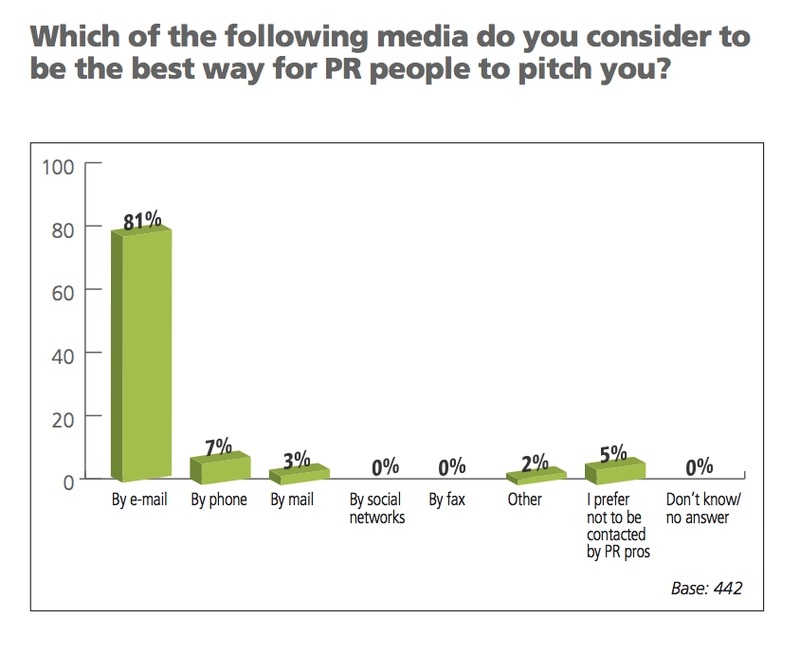 A wild guess says that 8 out of 10 of PR communicators are doing so. Not the best media relations manager tool in the world - but the most common? The communicator I met said to me that’s exactly how she was dealing with media relations. She said to me that she knew the most important journalists, and what they’re covering and writing about. She’s finding her contacts out of basic research of media. She’s making notes about their needs and wants in her sheet, and based on that she’s sharing her stories by phone and e-mail. “Yeah, I agree, but you don’t organize your personal contacts in an excel sheet, right? We both realize that Excel isn’t primarily a communication tool. Not even assisted with an e-mail client. So what would be the best place for communicators to keep and organize their most influential contacts like journalists etc? And vice versa. Newswires like Cision? It says to be “the world’s largest database of media contacts with all of the information you need to uncover the influencers that matter”. Sounds great but the journalists (so called “target group”) are not engaged. Cision is not an engagement platform. It might even be a spam tool if used indiscriminately. Facebook? Well, communicators (on behalf of their companies) might have a page and/or a group to meet and discuss with their audience (end customers, etc), but when it comes to media relations, they sometimes would like an exclusive exchange with one or a few of their journalist contacts. LinkedIn? Oh yes, that’s a great professional network. But hard to share content, and still linked to you personally. Salesforce? It’s not a network on both terms, right? Hard to get a proper community with mutual exchange. Google+? Maybe – we don’t know yet. Easy to synchronize with your G-mail contacts and create different circles of important people. But the communication is still widely open, and not content driven as the communicator often wants it to be. None of these and others seems to completely fit the communicators and journalists needs and wants when int comes to media relations? What would you say about a network for journalists and communicators to exchange info and experiences with each other on both terms? I’m talking about a service that allows communicators to find their most influential people on the web, add them to their contacts lists, invite them to a network where they can organize them and communicate with them exclusively. Not least – a tool that allows journalists to find, follow, and send requests to their sources? A network based on the community that has been existing for many years, but still have great potential to flourish with new web service technologies. 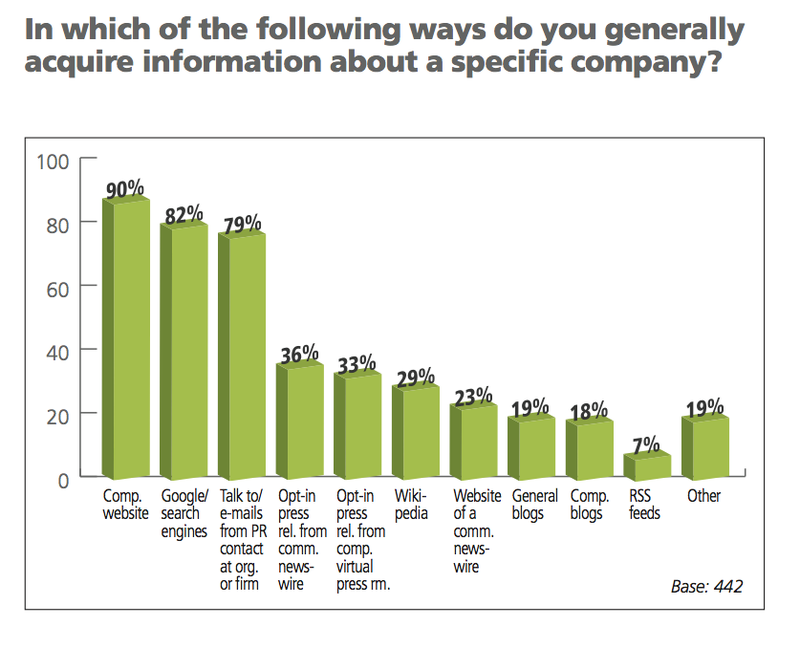 How do your media relations look like, when it comes to find, organize and communicate with your contacts? Please – feel free to respond to some questions in this survey. It just take a minute of your time, and I will send you the summary later on. My interview with Nick Wrenn from CNN International, about The Future of Journalism, at Social Media World Forum, London. First of all check out the WTOP reporter Neal Augenstein, who has replaced his heavy radio equipment on an iPhone. He’s writing about this interesting change in MediaShift. And it’s truly inspiring. In particular for those who want to go out on the field to cover, create, and distribute remarkable stories direct to their audience. It hasn’t been easier than now. “With the VC Audio Pro app from VeriCorder, I can quickly pull cuts, edit and assemble audio wraps, and adjust volumes on a three-track screen similar to the popular Adobe Audition used in many newsrooms. The amount of time saved by not having to boot up the laptop and transfer audio has been my single greatest workflow improvement. The finished report that used to take 30 minutes to produce and transmit can now be done in 10. This is a rundown of all the key ways he’s using on and with his iPhone. I was actually one of the first to like that page, now one day later, they are ten thousands of journalists. And all of them are now asked to create professional pages on Facebook, for both reach and interact with their audience, listen to them, work with them, get ideas for articles of them, and so on. Some of them might already have done that, like Nicholas D. Kristof, that already has more than 200.000 “fans”. And some of them also bring their page to their newspapers bylines like Robert Fisk at The Independent. Why not? I’m pretty sure that many journalist now will take the oppertunity to use this possiblity, to get more out of their daily work. Some of them will be CNN journalists if they haven’t already joined “the Facebook revolution”. And the media itself is no exception… Look at NPR or the very small local news blog Rockville Central. When I talked to Nick Wrenn, vice president of digital services for CNN International, during the conference Social Media World Forum, in London, he said that Facebook is an equally obvious that common source of information and meeting point. But he would rather emphasize CNN’s iReport and Open Stories as the public Forum for meeting, collaboration, and sharing, between CNN journalists and their audience. Dagens journalistik går fortfarande kräftgång i den nya kommunikativa världen. Den slutsatsen kunde vi alla dra efter att nyligen ha arbetat oss igenom en intensiv dag på “The future of journalism” under PICNIC 2010 i Amsterdam. PICNIC är en årligen återkommande konferens med syfte att ta pulsen på (och sudda ut gränserna mellan) det senaste inom kreativitet, vetenskap, teknik, näringsliv och samhälle. En dag av årets konferens vigdes åt framtidens journalistik, med European Journalism Centre som värd. 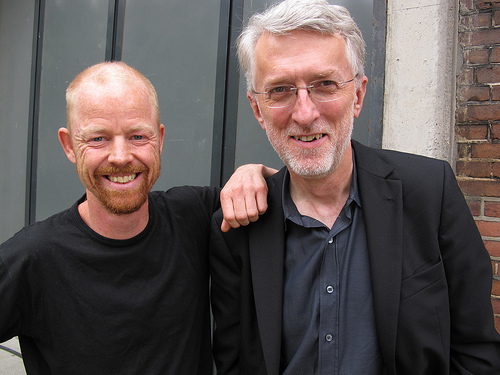 En rad mer eller mindre kända profiler inom journalistik och media tog chansen att predika och bolla idéer med en engagerad publik, däribland Jeff Jarvis. Sammanfattningsvis kan man konstatera att den framtida journalistiken man pratade om borde vara här för länge sen. För det är nu det händer. Jeff säger att nyheter inte är en produkt. Det är en process, som delvis innehåller nyheter. Nyheter var mer av en produkt förut, då de enda som då kunde producera, förpacka och distribuera nyheter var en förhållandevis liten och exklusiv skara journalister och mediehus. Ett centraliserat, kontrollerat och envägskommunikativt oligapol. Inte längre. Nästan. Idag har gemene man fått tillgång till samma verktyg som journalisterna. Det är bara skolningen som fattas. Vilket inte är odelat negativt. Ordet är fritt. Nyheterna sprids som löpeld över webben, inte sällan i transparensens anda. I beta. Obearbetade och ofullständiga. Men öppna för vem som helst att bidra till; kommentera, komplettera och reflektera över. Kanske sprida vidare. I nätverk. Jeff menar att mediahusens definition på nyheter är de dem själva producerar. Gemene man har en annan definition: Nyheter är det som är nytt för dem, oavsett vem som bidragit med nyheterna. Jeff frågar sig: Vilket berättigande till existens har egentligen journalister och mediehus idag? Vilket värde kan de tillföra för att i sin tur erhålla värde? Av vilket slag? Folk vill veta vad som händer omrking dem just nu? Vilka som är på plats och kan berätta om det som händer just där just nu? Och i synnerhet – vilka av dem de känner och kan lita på? Jeff menar att nyhetsorganisationer inte är förberedda på detta; att de fortfarande lever i illusionen att de utgör det enda och trovärdiga filtret mot omvärlden. “Vi kan inte längre räkna med att mediekonsumenter söker sig till oss (nyhetsorgansiationer) för att få senaste nytt. Vi måste försöka delta i nyhetsrprocessen som är ständigt pågående på webben. Vi måste försöka nå ut där folk finns och är mottagliga. Vi måste bli en del av deras nyhetsström. En del av deras nätverk. En del av deras liv. Vi kan inte längre tro att nyhetsprocessen börjar hos oss. Vi har tur om den slutar där, eller om vi ens är en del av den”, framhåller Jeff. Jeff hänvisar vidare till det samtal Facebook grundaren, Mark Zuckerberg, hade med en icke namngiven men känd mediemogul. Mediemogulen frågar Mark något frustrerat: “Hur…. Berätta hur kan vi bygga en “community” så som du gjort? Mark kallar det för “elegant organization. Och Jeff menar att om vi journalister ska försöka konkurrera med “mediahus” som Facebook och liknande, så bör vi journalister också försöka hjälpa vår omgivning att organisera sin information så att de kan organisera sig själva. Och om det är så, att vi ska det, så krävs det att vi helt och hållet omdefinierar vilka vi är och vad vi gör. PR-verktygen hoppar över media. Företagens kunder i fokus. Marketing is conversation. Conversation is relations. Marketing is relations. Marketing is relations with public. Public relations is marketing. Internet is social. Media is social. Social media are social media. Social media are marketing tools. Social media are PR tools. 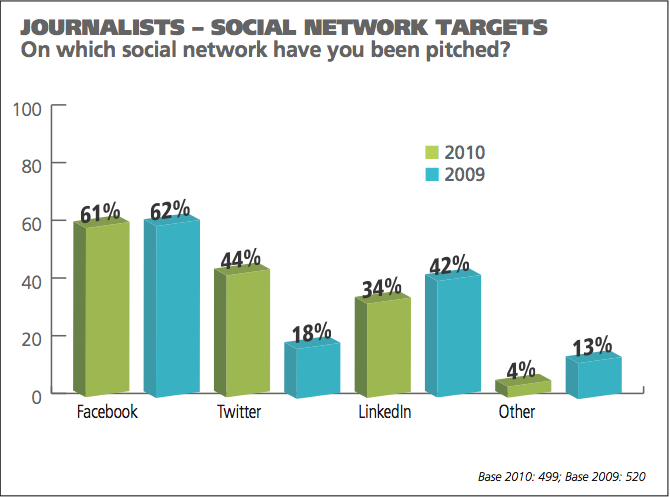 PR is Social media marketing. Social media marketing is content marketing. And content marketing is sharing. Sharing is conversation. And conversation is marketing. Är något av ovan nämnda påståenden felaktiga? Om så inte är fallet, eller om åtminstone de allra flesta överensstämmer med verkligheten, så kan vi snabbt dra slutsatsen att olika kommunikativa discilpliner som PR, Marknadsföring, mfl, har aggregerat i en enda stor smältdegel. Inte särskilt nytt för er som rör er i kommunikationens framkant kanske. Men rätt utmanande för de som står med fötterna djupt nerkörda i någon av nämnda discipliner. Låt mig få ge er ett exempel inom den disciplin, eller rättare sagt den fd disciplin, som ligger mig varmast om hjärtat – nämligen PR (Public Relations). För inte så länge sen såg Vocus-ägda PRWeb’s web-sajt ut som den nedan. Deras USP var då “online press release distribution”. “Ideal for PR & Marketing Pros and Small Business Owners, PRWeb will help you: Attract new customers. Increase publicity for your business. Drive sales. Increase visitors and traffic to your website”. Inte konstigt att Joe Pulizzi, strateg inom “content marketing” och grundare av Junta42, listar PRWeb som en av de 42+ “social media marketing tools”. För ta en titt på PRWeb’s förstasida, och läs verksamhetsbeskrivningen ovan igen. Inte är det väl PR? Det är väl mer “marketing”? Eller är det sak samma? Därom tvista de lärde, helt klart är i alla fall att PRWeb tillsynes verkar ha släppt journalisterna och media vind för våg, och istället helt fokuserat sig på att skapa förutsättningar för deras kunder (företagen) att med den sociala webbens goda minne nå sina kunder direkt. Journalisterna? De hänvisas att möta företaget på samma sociala plattformar som de valt att möta sin publik/marknad på. Väkommen.